Small enough to know you, large enough to care for your needs. Our mission is for each person to know Jesus Christ as his or her personal savior by teaching, worship, and fellowship at St. John’s United Methodist Church. EVERYONE IS WELCOME! YOU ARE INVITED TO ATTEND ANY OF OUR SERVICES OR ACTIVITIES. The church office is open Monday - Thursday from 8:30 am - 2 pm, except for holidays. The St. John's Social Club meets on the second Tuesday each month at 6:30 p.m. and goes out to eat at a local restaurant. If you like to travel to see other parts of the United States, take advantage of our fundraising trips. We have gone to some fabulous places and have new trips currently planned. Photos and information are found by clicking on BUS TRIPS at the top of this page. These trips raise money for the church to fulfill its missions. Opportunities to visit interesting places within 150 miles of Baytown are offered through the Precinct2Gether bus program. Anyone aged 50+ (or if you are younger and your spouse is 50+) is eligible to go on trips we schedule. Contact Robert or Carolyn Francis for information. To see photos from many of our trips and get info about future trips, click on the button below. St. John's United Methodist Church began as a branch Sunday School and mission of Cedar Bayou Methodist Church in 1913. It started in a one room unfinished school house at the Goose Creek Oil Field on the banks of San Jacinto Bay. It became the first church in the area in 1917 and was named First Methodist Church. When the community was incorporated and named Pelly, the church was the First Methodist Church of Pelly. 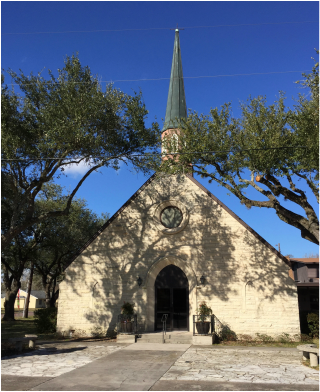 In 1949, a new church was built and the name of the church was changed to St. John's, when Goose Creek, Pelly, and Baytown became the new city of Baytown. 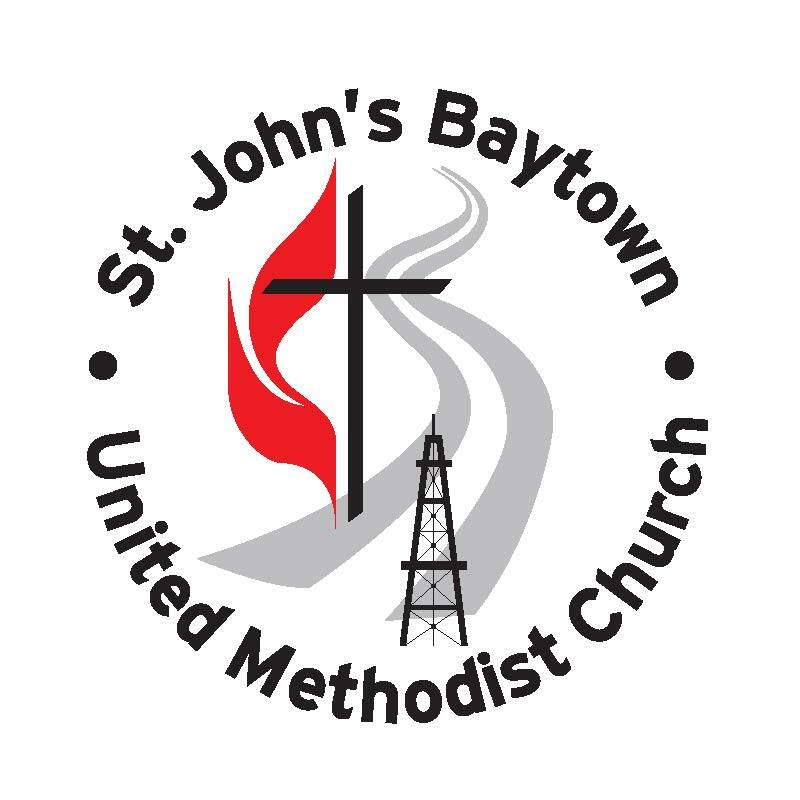 Through all the years and the many changes in Baytown, the ministers and the congregation of St. John's have continued to proclaim the Good News of Jesus Christ to our community. In 2013 we will be celebrating our 100th anniversary! Come help us celebrate. At St. John's United Methodist Church we seek to make contact with those people of all origins who wish to develop a personal relationship with Jesus Christ and become His disciples. We also want those that wish to grow in their faith and get closer to their Lord. Our desire is to offer a radical stimulating worship service based on the Word of God and teach the scriptures from the Bible in our Sunday School classes. Then we will take our faith out into the community and through our Christian witness bring even more people to St. John's, making new disciples for Jesus Christ for the betterment of the world. Come and be a part of St. John's United Methodist Church and let us welcome you into the Body of Christ, our church family. Here's where we are located in Baytown.